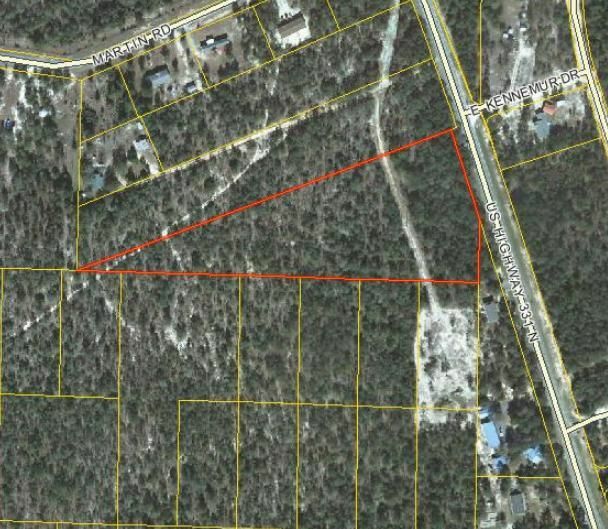 Five acre tract on busy Highway 331. . Purchase now and be proactive with coming development in DeFuniak Springs. Current zoning is RV, rural village, with residential and commercial uses. Flood zone X, minimal. Additional lots available. Buyer to do feasibility study. Buyer to verify all data.